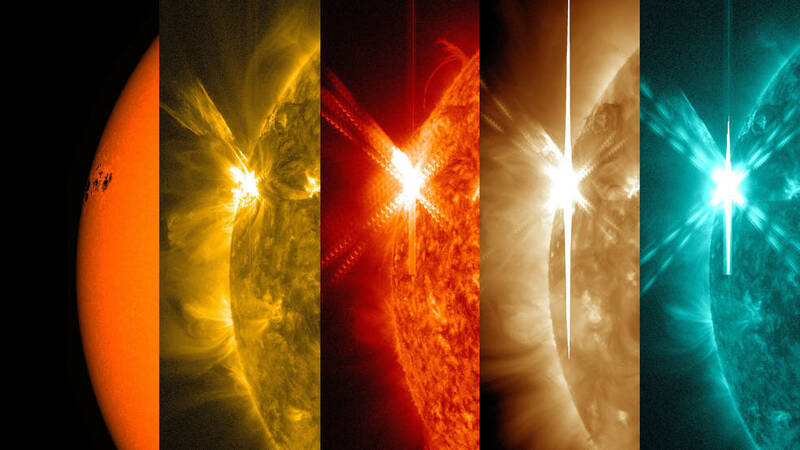 May 6, 2015 – The sun emitted a significant solar flare, peaking at 4:11 p.m. MDT on May 5, 2015. NASA’s Solar Dynamics Observatory, which watches the sun constantly, captured an image of the event. This flare is classified as an X2.7-class flare. X-class denotes the most intense flares, while the number provides more information about its strength. An X2 is twice as intense as an X1, an X3 is three times as intense, etc.